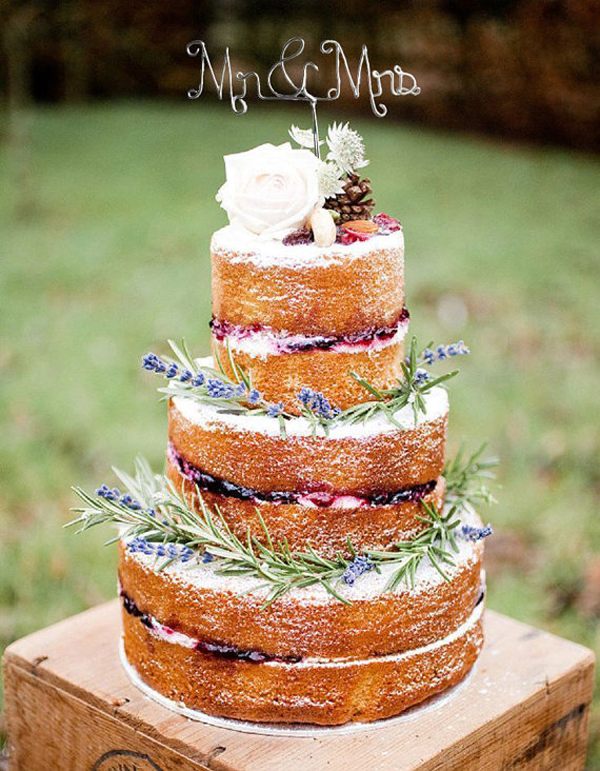 This week we have discovered the most beautiful and creative wedding cake toppers on Etsy! 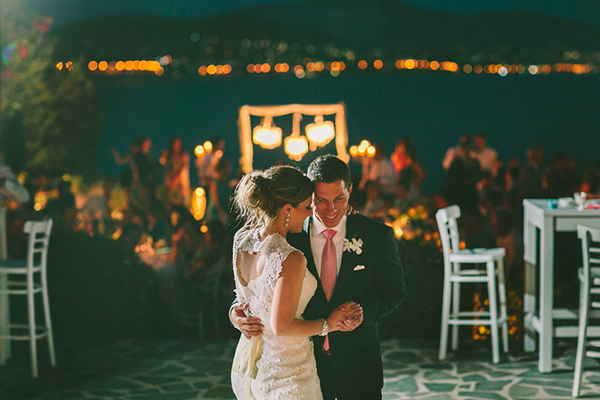 Designs and ideas for every wedding style: rustic, elegant, vintage, romantic… even a few ideas for the more fun loving couples! 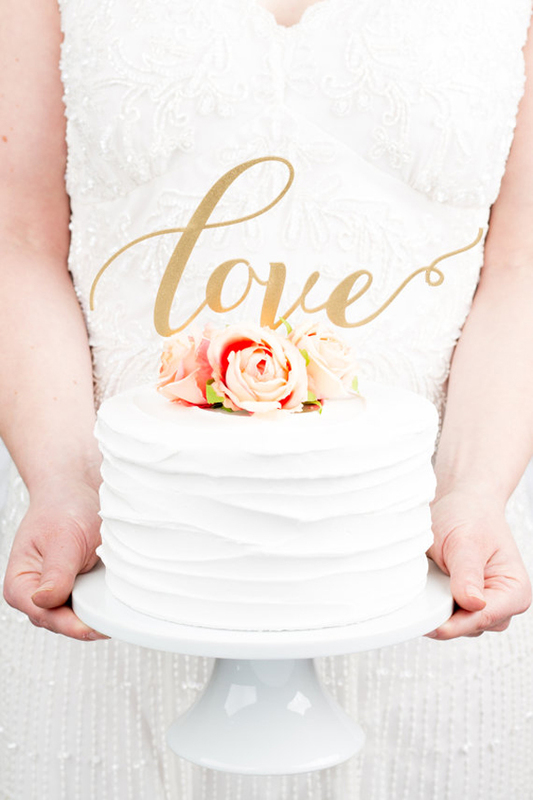 Eco friendly wooden wedding cake topper with my favorite word… love ! Handmade wire wedding cake topper for a rustic wedding cake. 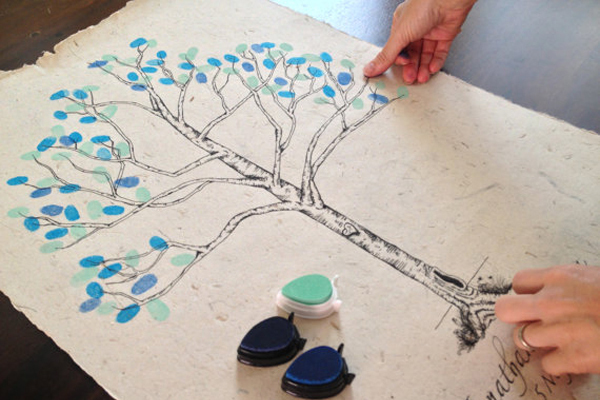 You can choose a your favorite phrase or name and even the wire color! 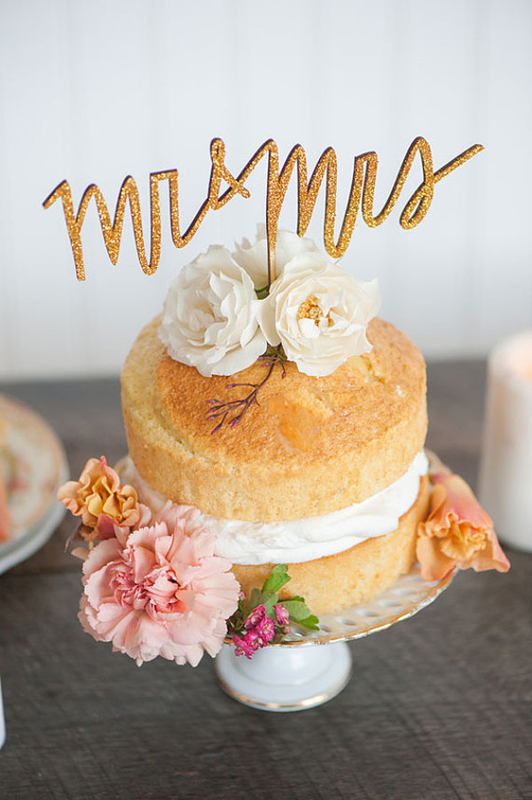 The glitter Mr & Mrs wedding cake toppers that are perfect for an elegant wedding! 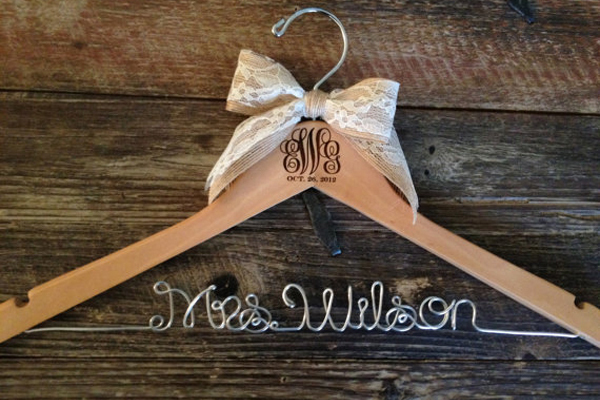 If you are planning a country style wedding, this cake topper is fantastic! 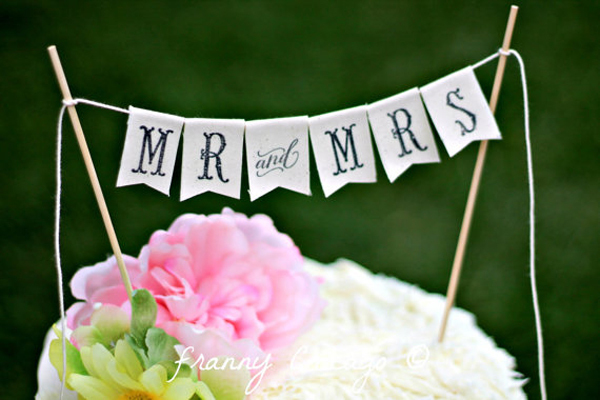 Each wedding cake topper is a handmade mini banner stamped onto premium organic muslin. Adorable! 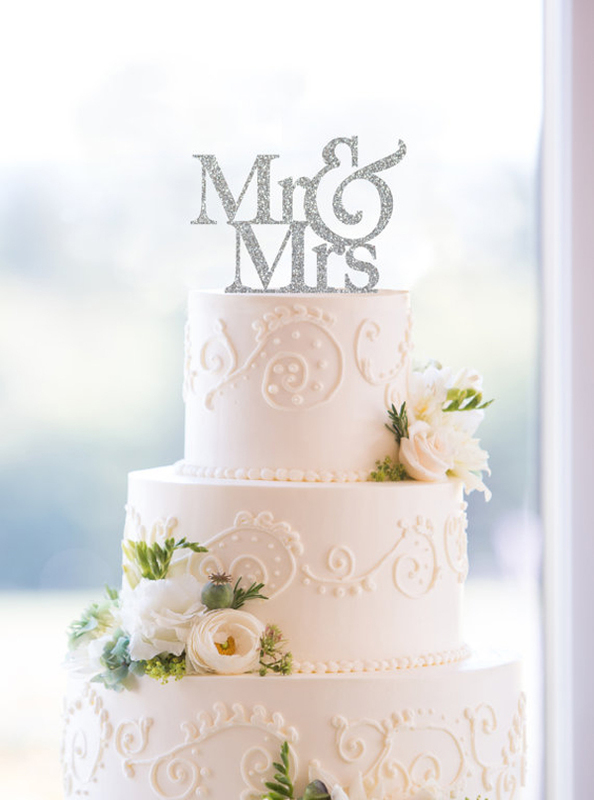 Handmade from birch-wood, this cake topper adds a hint of glamor to the wedding naked cake. And the cutest for last! 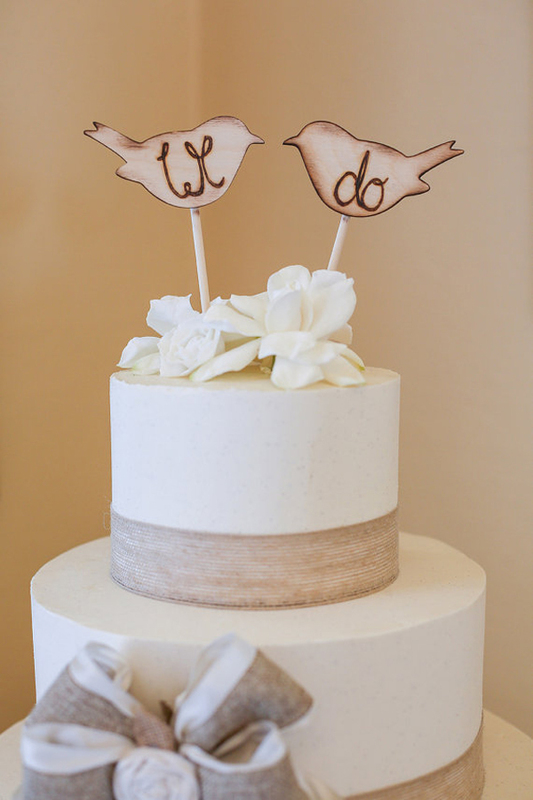 A rustic chic cake topper featuring two love birds engraved with the saying “We Do”! Super-cute choices! I especially like the pretty love birds!